When you think of music streaming, Spotify is probably the first one that comes to your mind. It has been one of the top streaming music services because of its impressive features. For improving user’s experience, Spotify also integrates with lot of services like Hulu and works with more smart speakers or devices. Now that Spotify is dominant for a decade in music-streaming industry since its launch in 2008, so Amazon Music is a newcomer to join this fierce rival. How Amazon Music stand out from the crowd? 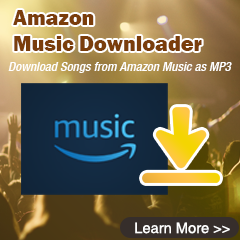 You probably prefer Amazon Music over other services like Spotify, Apple Music, Deezer, mostly because the x-ray lyrics, Alexa and Amazon Echo compatibility. Once you decided to switch from Spotify to Amazon Music, Spotify to Amazon Music songs migration is required (an important feature for music lover who wants their music on the new service). But due to the DRM protection which restricts the use, modification, and distribution of copyrighted works on Spotify or Amazon, firstly you will need a third party tool to remove the DRM from Spotify music. 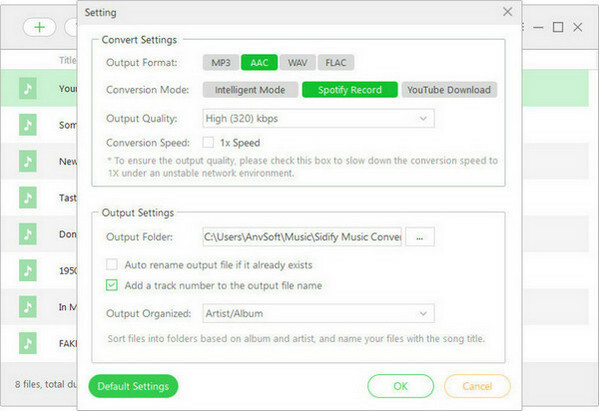 Sidify Music Converter for Spotify is here specially designed for offering users an easy way to remove DRM from Spotify music and convert them to DRM-free audio formats including MP3, AAC, WAV or FLAC. 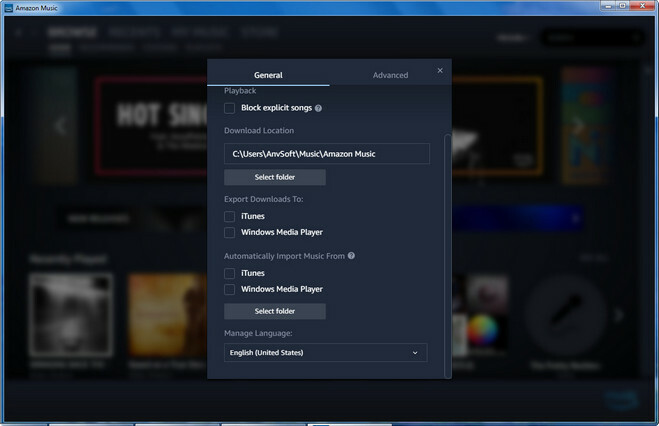 After the DRM is ripped, you can manually import your Spotify songs or playlist to Amazon Music. 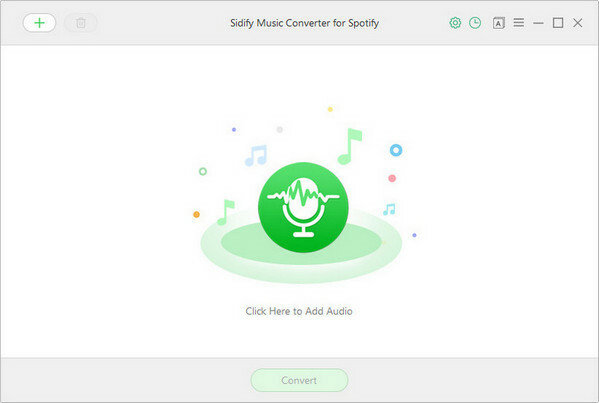 Download and install Sidify Music Converter for Spotify on PC or Mac, then open this application. Click icon to add Spotify track, playlist, artist or album to Sidify by drag & drop. Click on button in the top left corner to change the output settings: Sidify supports you output Spotify as MP3, AAC, WAV, or FLAC with the best sound quality kept. 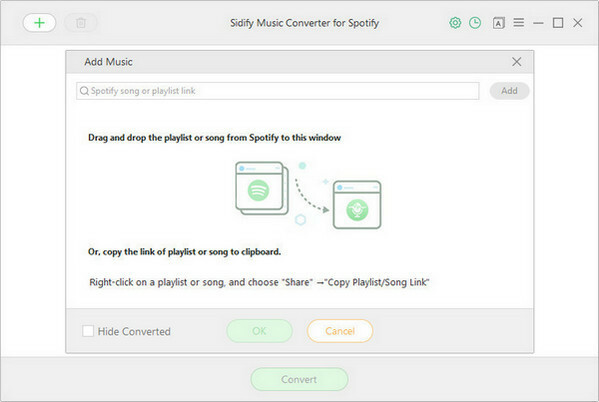 Now you can start downloading songs from Spotify by clicking Convert button on the bottom of Sidify. After the downloading process completed, you can click icon to check the well downloaded Spotify music. 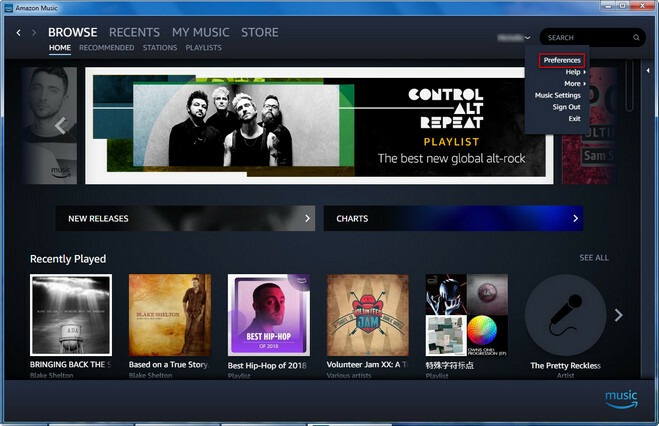 Step 1 Open Amazon Music app on PC or Mac. Step 2 Click on your name in the upper right corner and choose Preferences. Step 3 In the General tab, choose your preferred folder or location under the Automatically Import Music From option. Or click on the Select Folder button to select the folder to upload. 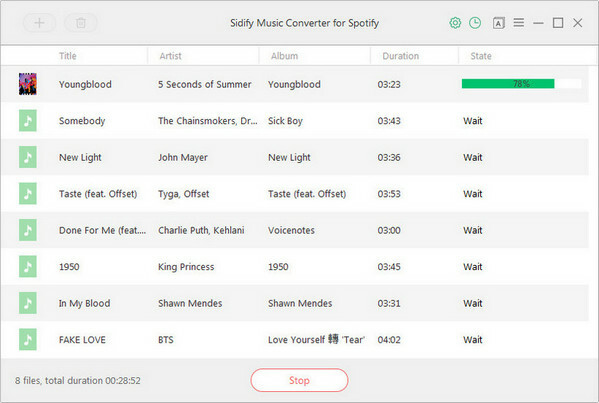 Note: The trial version of Sidify Music Converter for Spotify enables us to convert the first 3-minute audio from Spotify for sample testing, you can purchase the full version to unlock the time limitation.